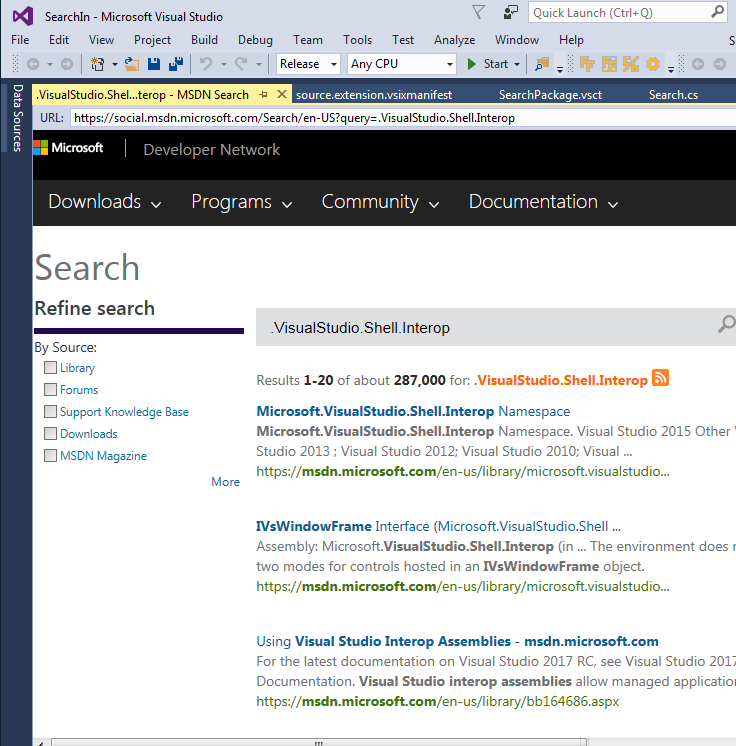 Visual Studio>Tools>Fast Search in Google, Github etc. Fast Search in Google, Github etc. 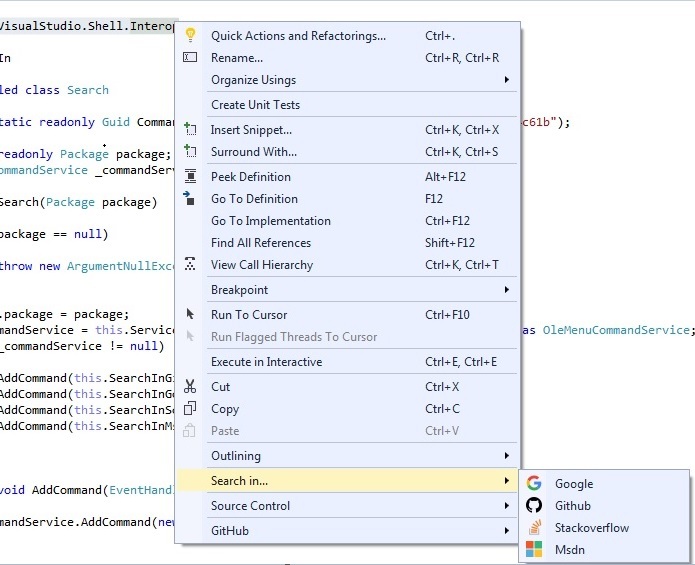 A simple Visual Studio Extension to fast search in best-known sources such as Google, Github etc. Highlight some text on code editor and right click to seach in Google, Github, Msdn or Stackoverflow. See the attached screenshots below.